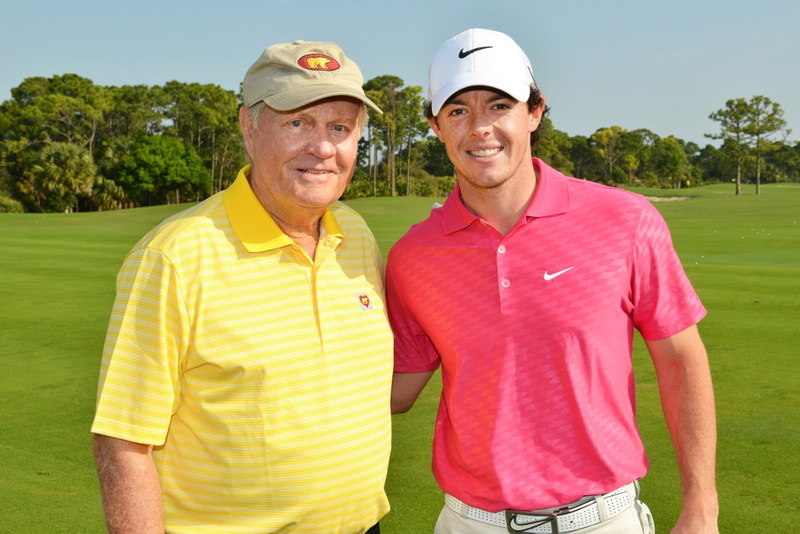 Ponte Vedra Beach, Florida — The PGA TOUR announced today Rory McIlroy is the PGA Tour Player of the Year and recipient of the Jack Nicklaus Award. Also announced, Chesson Hadley has been named PGA Tour Rookie of the Year. Both awards were voted on by the Tour’s membership for the 2013-14 Season. PGA Tour members who played in at least 15 official money events this past season were eligible to vote. The balloting process ended on September 25. McIlroy, 25, receives the Jack Nicklaus Award in recognition of being voted PGA Tour Player of the Year for the second time in three seasons. In 2012, he became the youngest player to earn the award since Tiger Woods in 1999. Since the PGA Tour began its Player of the Year Award in 1990, McIlroy becomes the fourth player to receive the honor multiple times, joining 11-time winner Tiger Woods and two-time winners Greg Norman and Nick Price. McIlroy won three times on the PGA Tour this season, doing so in impressive fashion by winning in consecutive starts at The Open Championship, World Golf Championships-Bridgestone Invitational and PGA Championship – with the latter representing his fourth Major Championship. He became the first player since Padraig Harrington (2008) with wins in back-to-back major championships. Following his victory at the Bridgestone Invitational, McIlroy regained the No. 1 spot in the Official World Golf Ranking and has held the top position ever since. A model of consistency throughout the season, McIlroy tallied a Tour-best 12 top-10 finishes and failed to finish outside the top 25 in any of his 17 Tour starts. In addition to his three wins, he also added runner-up finishes at The Honda Classic and Tour Championship by Coca-Cola, with his second-place finish at East Lake leading to a third-place finish in the FedExCup. McIlroy earned the Arnold Palmer Award as the Tour’s leading official money winner ($8,280,096). He also was the winner of the Byron Nelson Award for adjusted scoring average (68.83). The Northern Ireland native is one of three Europeans to earn the Jack Nicklaus Award, joining England’s Luke Donald (2011) and Ireland’s Padraig Harrington (2008). McIlroy was selected over Billy Horschel, Martin Kaymer, Jimmy Walker and Bubba Watson. Hadley, 27, burst on to the scene with his win at the Puerto Rico Open presented by seepuertorico.com, firing four rounds in the 60s for a two-stroke victory over Danny Lee. In addition to his win in Puerto Rico, Hadley added top-10 finishes at the Shriners Hospitals for Children Open (T5), Deutsche Bank Championship (T9) and AT&T Pebble Beach National Pro-Am (T10). Hadley was the only rookie to advance to the BMW Championship, the third of four FedExCup Playoffs events, finishing the season No. 49 in the FedExCup and No. 58 on the official money list ($1,703,316). A native of Raleigh, North Carolina, Hadley becomes the third former Georgia Tech Yellow Jacket to win Rookie of the Year honors, joining Stewart Cink (1997) and Michael Clark II (2000). Hadley was selected over Victor Dubuisson and Brooks Koepka.